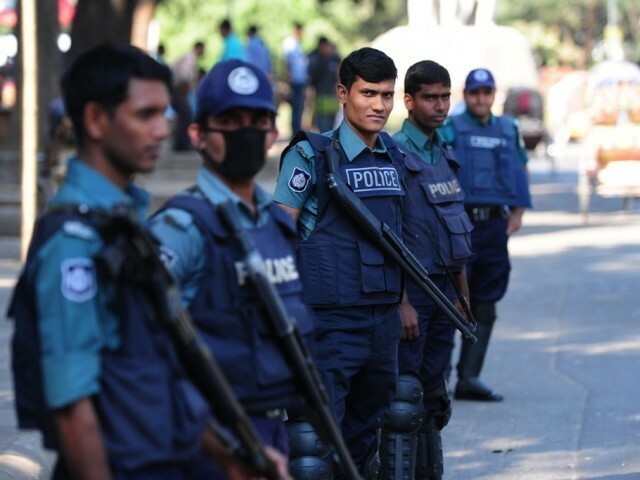 Bangladesh police said Thursday they had arrested 12 suspected militants including the local head of Al Qaeda’s branch in the region, foiling an attack planned for the end of the Islamic holy month of Ramzan. The Rapid Action Battalion (RAB) also seized explosives and other bomb-making materials during raids on Wednesday, July 2, on the militants’ hideouts in the capital Dhaka, spokesman Major Maksudul Alam said. “During the raids we arrested 12 militants including Maulana Mainul Islam who is the chief coordinator of AQIS in Bangladesh,” RAB’s Alam said. Al Qaeda in the Indian Subcontinent (AQIS) had been planning an unspecified attack in the Muslim-majority nation after Eidul Fitr, which celebrates the end of Ramzan, Commander Mufti Mahmud Khan, the most senior RAB spokesman, told reporters. “They’ve selected a madrassa in (the northern district of) Bogra for training,” he said, adding that the group was financed by individuals from Saudi Arabia and United Arab Emirates. AQIS has claimed responsibility for the murder of several secular bloggers in Bangladesh this year, including the hacking to death of Bangladeshi-born US citizen Avijit Roy in Dhaka in February. Last September, al Qaeda released a video announcing the establishment of a branch on the Indian subcontinent, AQIS, saying it wanted to revive jihadist activity.